Bike central bicycle hire is a great way to see the Gold coast. Experience our easy going, fun by the beach lifestyle by cruising up or down the coastline on one of our unisex adult comfort bikes. Being centrally located on the coast, we are within walking distance of most accommodation in the Broadbeach/Mermaid beach area, and just a short public transport trip from Surfers Paradise. 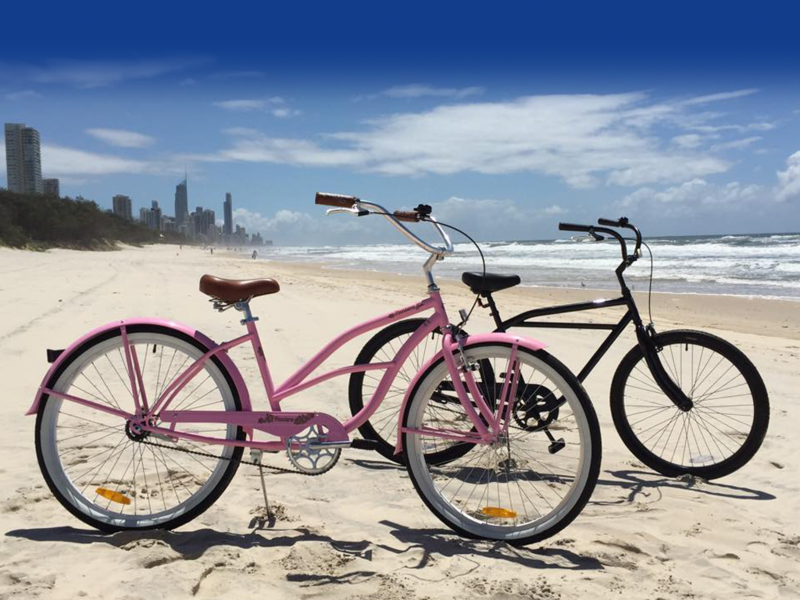 Choose a leisurely trip down to Coolangatta or soak up our gorgeous beaches along your way to the Spit on a bike central hire bike today. Its the most fun, cost effective and environmentally friendly way to commute and explore our beautiful city at your own pace. All hire bikes come with a helmet, lock and Gold coast cycling map. Contact Bike central – Shop 2, 2547 Gold coast Hwy Mermaid Beach ph: 07 5572 6444 to book a bike!